Play out real-life scenarios in LEGO® DUPLO® My Town: a recognizable world with modern DUPLO figures. There are endless play opportunities in this easy-to-build house—toddlers can have fun practicing activities and routines, from getting up in the morning, preparing and eating a meal to washing the car. 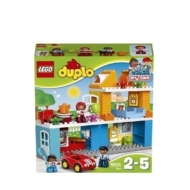 Watch role-play skills develop as they play out everyday life with 3 DUPLO figures. 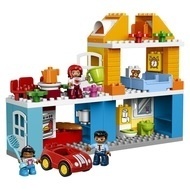 - Includes 3 LEGO® DUPLO® figures: a mom, dad and a child. - Features a modular house over 3 levels with a kitchen with opening oven, bathroom with toilet, basin and opening mirror cabinet, bedroom with beds, child’s room with opening dormer windows, roof terrace dining area, interior shelves, opening doors, and a car. - Includes bricks decorated as a mirror, toilet paper, alarm clock, oven and a teddy bear as story starters. - Accessory elements include a cooking pot, plate, baguettes, jug, cup, brush and flowers. - Use the modern characters, accessories and decorated bricks to help reinforce daily routines and play out everyday scenarios with your toddler. - This fun and easy-to-build family house encourages early construction skills and presents endless play opportunities. - The modular structure means this set can be rearranged and built in lots of different ways. - Toddlers will enjoy pretending to help dad wash the car or bake the baguettes in the oven. - This set offers an age-appropriate build and play experience for ages 2-5. - Family House measures over 11” (28cm) high, 14” (38cm) wide and 3” (9cm) deep. - Car measures over 1” (4cm) high, 3” (9cm) long and 2” (6cm) wide. 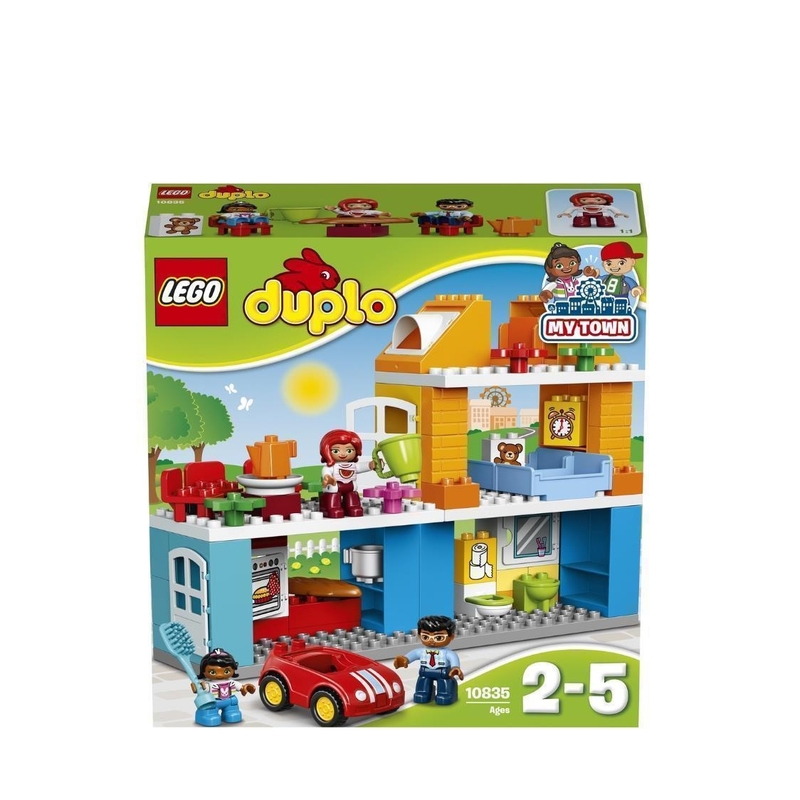 - There are several My Town products to collect and play out your child's everyday life in a recognizable LEGO® DUPLO® world.